We’re told Chicago police are “furious” and feel something untoward is going on with Kim Foxx. 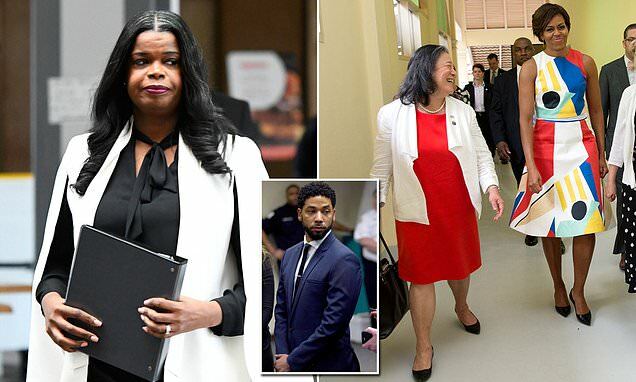 Smollett’s relative, who was not identified when the texts became public earlier this month via a records arrest, replied: ‘OMG this would be a huge victory’ when Foxx said she was ‘trying’ to get it handed over. 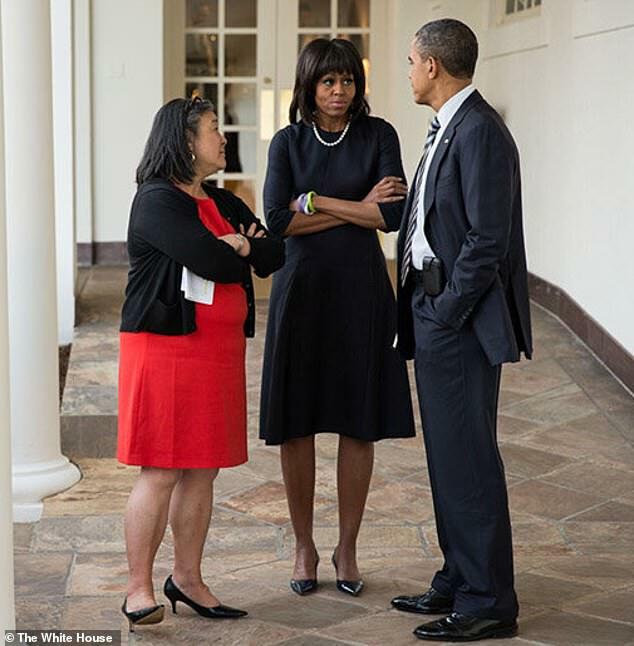 Their concern is whose interests she was working on when she, after being contacted by former Michelle Obama aide Tina Tchen, tried to steer the probe in the direction that the Smollett family wanted. The union which represents the police in Chicago is calling for State's Attorney Kim Foxx to face investigation for her handling of the investigation. The fact that the case is sealed tells you all you need to know about this nonsense. This is a political decision, not a law decision. Johnson said, as bluntly as he has before, that Smollett conducted a “hoax” to further his own financial gain. Emanuel lambasted Smollett as selfishly exploiting hate-crime laws for his own personal gain. 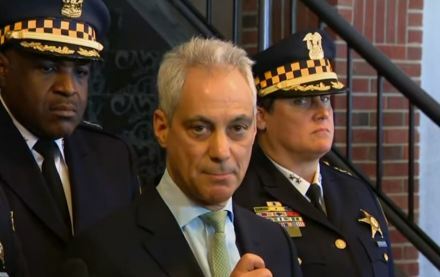 “He took those laws and turned them inside out and upside down,” the mayor said, repeatedly reminding reporters that a grand jury heard the case and brought the charges against Smollett. Is this any surprise? The celebrity gets to walk, and he comes out continuing to repeat his lies. The prosecuter is weak person, a fool and probably a Democrat who has once more showed us that there are two levels of justice. One for liberal Democrats and another for everyone else. To use a phrase made famous by Donald Trump, “the Shiit hole” known as Chicago - the Democrat political swamp that looks the other way as scores of its citizens get shot; the political swamp that produced the Obamas - has demonstrated to us once again that “equal justice under the law”, if it ever truly existed, went the way of button shoes and the Dodo Bird. BTW, tonight it is being reported the “community service” allegedly performed by Smollett and pointed to as a reason to drop all charges, consisted of 16 hours of stuffing mailers at Jessie Jackson’s Rainbow Push office in Chicago. My answer/response to the entire 2 years of BS this country has endured at the hands of subversives, including today’s travesty in Chicago . . .
One for liberal Democrats and another for everyone else. LOL…It’s one for people of Celebrity/Wealth/Power and everyone else. Nonsense, of course. If he were a REPUBLICAN, he’d never have been granted bail…let alone let off the hook for what he obviously did. The Republican victim card, honestly Dave, that’s precious. Not any “victim” claims here, CSB. Just telling it like it is insofar as Chicago is concerned. It’s been run by Democrats since before I was born (and I’m now 77!). It was the Daley administration that gave us JFK instead of the REAL winner–R.M. Nixon–in 1960 which led BOTH to JFK’s assassination AND the Vietnam War that eventually resulted in the election of Bill Clinton AND Barack H. Obama and the simply awful mess that is the Democrat Party today.